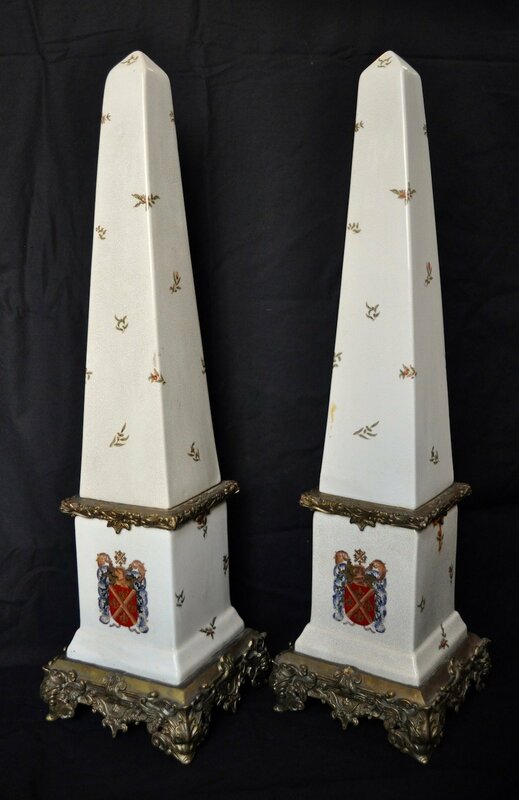 Beautiful Louis XVI-style decorated porcelain parcel-gilt obelisks. 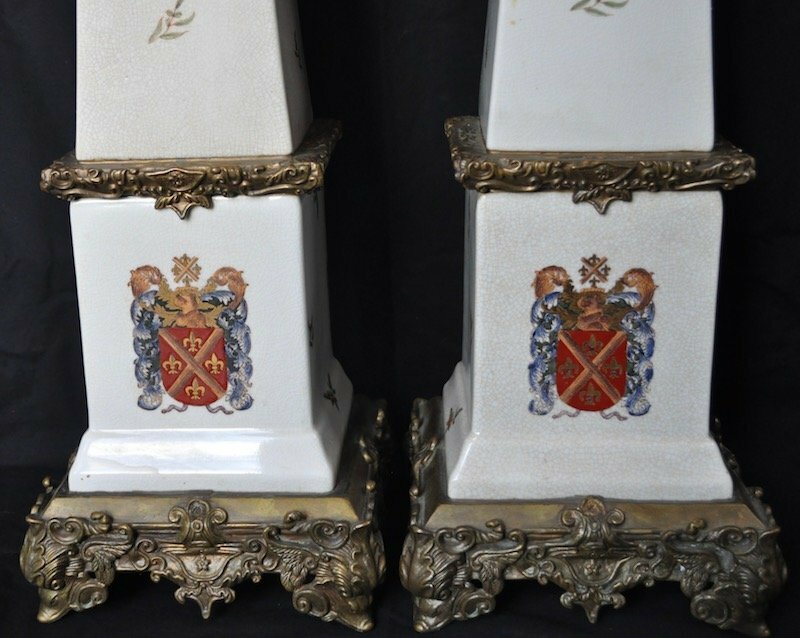 There is a beautifully painted coat of arms on one side of the plinth, and delicately painted leaves scattered on the obelisks. 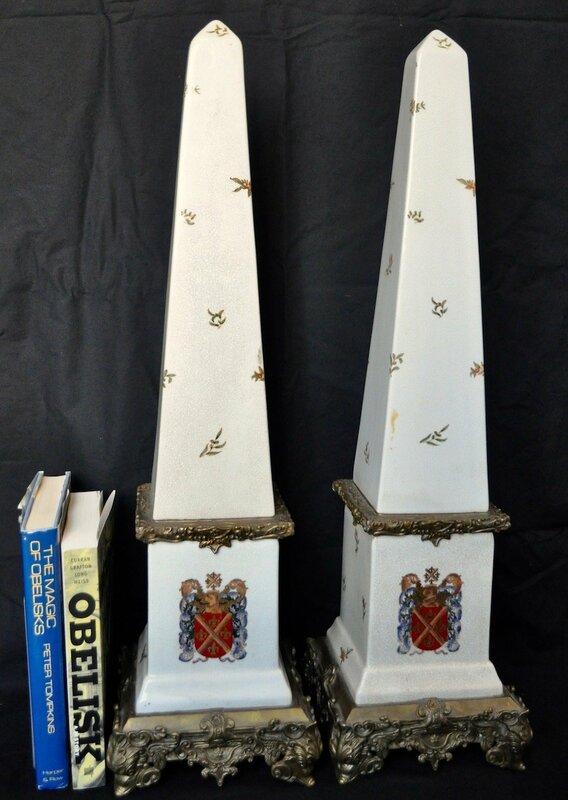 The obelisks are 20th century. 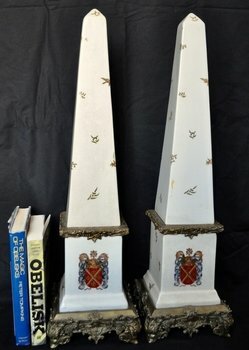 The obelisks are a stately height and would look wonderful sitting on the floor below a window, or flanking a doorway to a room. 29 1/2 inches tall. 29 1/2 inches tall. Base 8 inches square.